We are continuing fun summer reads today with a new romance from author Angela Hayes, Love's Battle. It's always great to hear from the author, who says she splits her time between bringing characters to life by computer and yarn to life with needle and hook. She answered some questions for us about her writing career. Did you always want to be a writer? I toyed with the idea when I was little, I would write poems, short stories, etc. but it wasn’t until I was older, a mother of young kids, that I dreamed up the idea for Love’s Battle and while writing it, really considered becoming a writer. Once I did, the idea of it stuck and I decided that I wanted to make writing my career. Love’s Battle is my first official published book. I did start a blog back years ago when I went through a battle with cancer. It was eye opening, very cathartic, a way to help others in my situation, and a way to remember (like keeping a journal). Congratulations! We'd love to know where you got the idea for it. The idea for Love’s Battle came when, like a singles, you wonder, why can’t I just know who I’m supposed to spend the rest of my life with? That got me thinking. If I could really know who I’m supposed to with, would I still want to be with that person? And it evolved from there. I love that they’re unique, confident, and willing to take chances. I mean, what bigger chance could you take than to bare your soul to someone and hope they don’t throw it back in your face. I’m finishing edits on a short story for The Wild Rose Press’ Candy Heart series. It’s about a cupid who falls in love with a fairy. I’m very excited about it. We'll look forward to that. 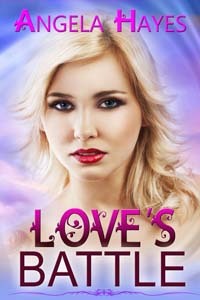 How about a blurb for Love's Battle? If love isn't worth fighting for, what is? Thanks, Angela, for being my guest. Here is how to get in touch with her. Any questions or comments for Angela? This week we continue our fun summer reading series with a look at the books of Linda Joyce. Linda joins us today with a special blog on reading. Writing, unlike other forms of art, must first be captured on paper/computer screen, a writer’s raw material, before it can be polished into a gem of a book. I’m mentally and emotionally hanging out in the near past in Mississippi immediately following Hurricane Katrina—I’m engrossed. My fingers flyacross the keys far faster than when I played piano. Once at the website, the game appears like a pop quiz. The current challenge: Positive and negativewords for summer romance. Intriguing. And so I begin. There are four possible choices for each vocabulary word. The best thing about the quiz is that it provides IMMEDIATE feedback. A bright green star and checkmark appear at the top of the page and highlight the correct answer. But then, RED! I missed one! Cosset. *Sigh* I never recall cosset used in any romance novel I’ve read. So now the challenge is to finda novel containing the usage. Thanks, Linda! You may get me hooked on that game. Here's how to reach Linda. Any questions or comments? This week in My Writing Corner we are continuing our Summer reading with a romantic story about ghostly happenings. 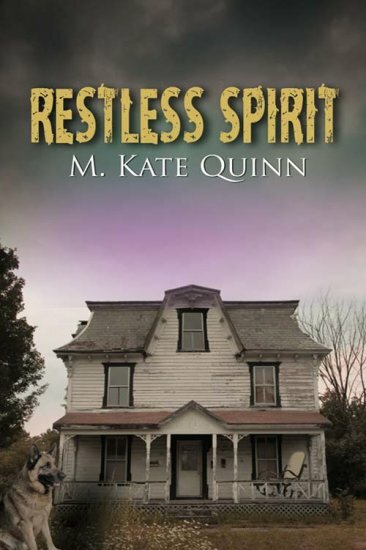 The book is Restless Spirit, just released by The Wild Rose Press, and the author is M. Kate Quinn. It's the second book she has set in Ronan Harbor, New Jersey, and it sounds like delightful summer reading. It began when I was in the second grade. My teacher, Mrs. Sprowl, had written a partial sentence on the blackboard and then asked us to finish it then write a story using that as the first sentence. I will never forget that feeling of suddenly having a magic wand in my hand, which was actually a pencil. Later, when Mrs. Sprowl was reading through the stories, she called me up to her desk and told me I was going to be a writer some day. I took an early retirement from academia and decided then that it was my time to really give a writing career a try. So, I joined New Jersey Romance Writers (sat in the back at my first meeting with who-am-I-kidding chanting in my head) and took copious notes, talked with people in the know, and went to every conference. At my first conference I took a leap of faith and grabbed a pitch session that had been cancelled by someone else. I met an editor from The Wild Rose Press and she liked my story idea and asked for a partial submission. That was my first sale. I’ve just released my fifth. Tell us about your latest book, Restless Spirit, and where you got the idea for it. Restless Spirit is a story of a young woman who came back to her home town in Ronan’s Harbor, New Jersey, to nurse her dying mother. Now at the one-year anniversary of her mom’s passing strange things are happening in the house. Antiques crash to the floor, sounds in the night, strange smells wafting through the rooms…..She’s got a ghost! The K-9 officer that she’s been interviewing for her local TV program gets wrapped up in the ghostly mayhem and, although the two are dead set against getting involved in romance, somehow even a firm resolve is no match for a restless spirit. What I like best about the two of them is that they each grapple with a fear that has held them hostage from realizing a dream and through trial and tribulation they each overcome their fears. Currently I am working on the third and final book in the Ronan’s Harbor Series. It is in a nebulous stage but I can say that it involves a reluctant bridal shop owner and the father of a bridezilla. Strange things are happening at Aubrey Donner's cottage in Ronan's Harbor, NJ. Noises in the night, crashing antiques and an eerie presence all add up to only one thing: her cottage is haunted. Her new job hosting a pet-related program on local television finds her battling to hide her lifelong fear of dogs from local no-nonsense K-9 officer Asa Kavanaugh and his four-footed, pony-sized partner, Scout. Aubrey can't wait to be done with the duo until she realizes she can use Asa and Scout's help to wrangle her phantom. While chasing shadows, yearnings of two wounded hearts collide, banishing old fears and unveiling the possibility that true love may really exist after all. A triple-wick candle with its zealous flames had been placed in the center of the table. It cast a dancing glow over the purple covering Joanie had found downtown at Franklin’s today. authoritative. His words’ substantive quality only served to rattle Aubrey more. Her knees shook under the table. Aubrey placed her hands on the table, watching out the corner of her eye at Asa beside her. His big masculine hands were outstretched. His right pinky sought and found her left. A kind of vibration extended from their connected digits, and she was tempted to pul laway. She knew better than to meet his gaze she felt onher, wooing her to turn her head. On her other side, Joanie also placed her hands into position and pressed the tip of her smallest finger against Aubrey’s right one. One by one, they all formed an unbroken ring of their hands. Aubrey squeezed her eyes shut, trying to keep her thoughts still as Ira had asked. But there was a big man, with a teasing dimple, sitting beside her, his electric finger pressing onto hers. She shook her head and tried to dismiss the sensation that quivered through her veins. Okay, I'm hooked! That is going on my list of summer reading books. Here are the details for reaching M. Kate Quinn and for buying her new book. Thank you, Mary Kate, for being my guest and good luck with your new book. Any questions or comments? 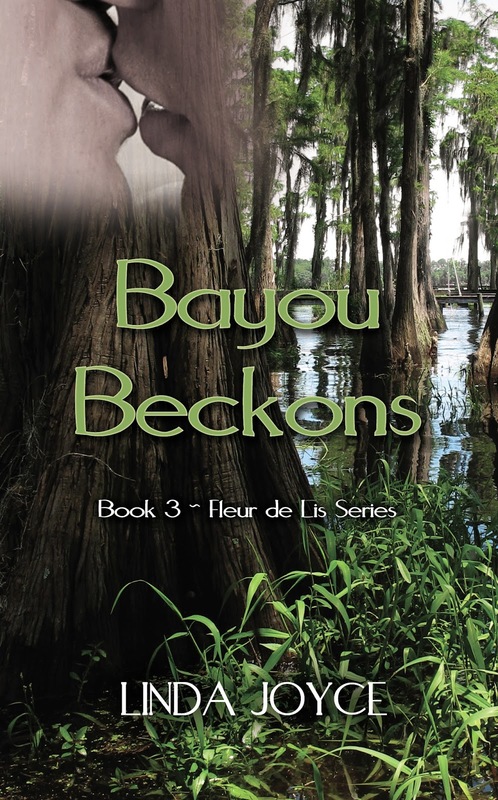 Today we continue our summer reading with a paranormal romance by author J.L. Sheppard, Heavenly Desire, Elemental Sisters III. It is the third installment of the Elemental Sisters Series and right now it is a bargain for your summer reading. For the next week, it is on sale for 99 Cents. Clyde, an angel, battles the one thing he believes will lead to his fall from heaven--his new found emotions, forbidden among his kind. Nonetheless, the Angel Lords promise to promote him to warrior when he completes his last assignment--to find Jade. When he does, emotions he never knew possible arise.. For the first time in two thousand years, he cursed his existence. Knowing she can never be his, will he sacrifice his wings for a woman he loves but can't keep? Sounds like a great book to read this summer! 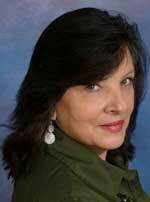 J. L. began her publishing career two years ago with the first Elemental Sisters book, Demon King's Desire. 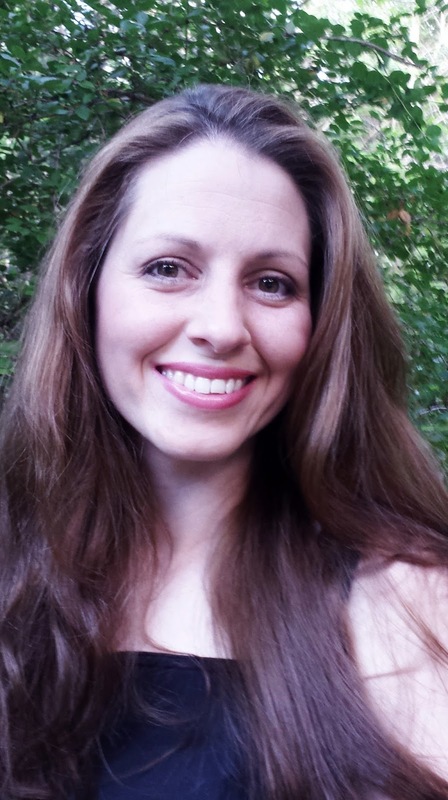 She has wanted to be an author since she was a child and that was her greatest aspiration. Born and raised in Miami, FL, where she still lives, she began writing by keeping a journal and wrote countless poems. A graduate of Florida International University, she later worked in a TV news department for three years. She has received great reviews for this book, receiving five stars from Night Owl reviews and from the Paranormal Romance Guild. Ready for an excerpt to tempt you? Thanks, Jean, for being my guest. Any questions or comments for Jean?